I have been nominated for a couple of awards over the past few weeks and am “officially” accepting them at last! It’s so encouraging to be thought of by fellow bloggers in this way , especially as it gives me the pleasure of re-directing my followers to their excellent blogs as well as the chance to highlight some others I have come to enjoy and admire. I was nominated for the Versatile Blogger Award by Ethel and Thomas Davis of fourwindowspress (find inspired artwork, photography, essays and other writings) AND by Subhakar Das of FicFaq (about writing and the writer’s life). I was nominated for the Kreativ Blogger Award by AZ of Verse Not Prose ( poetry and reflections of a very mature, wise and talented young woman). AZ has just begun a second blog Andrea Nadine Muses . Thank you Thomas, Ethel, Subhakar and AZ! I encourage all to visit their blogs as soon as possible! Nominate fellow bloggers (I will leave the number up to you). Inform the bloggers of their nomination. 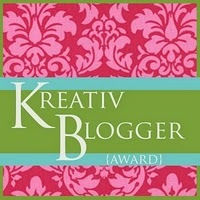 Add the Versatile and Kreativ Blog Award logo on your blog post. And please visit other wonderful sites on my blogroll! 1. I live in a log cabin. 2. I once lived in an English Abbey. 3. I developed an English accent when I lived in the UK so “no one” knew I was an American (proved interesting…). 4. I worked for PBS as a volunteer coordinator. 5. I wanted to be an actress and singer. 6. I’m of English & Italian extraction, with a little French and Dutch thrown in. 7. I’m fascinated (and humbled) by the lives of the saints. Wishing everyone a Healthy, Peaceful and Fulfilling New Year! I want to take this opportunity to thank all who have made my emergence into blogging such a satisfying and encouraging experience. The best part has been connecting to your talents, reflections and insights that have so often humbled mine. I can’t express enough appreciation for your time and interest in visiting my site and regularly commenting on my posts. Gaining your virtual friendship has made a great difference in my life. 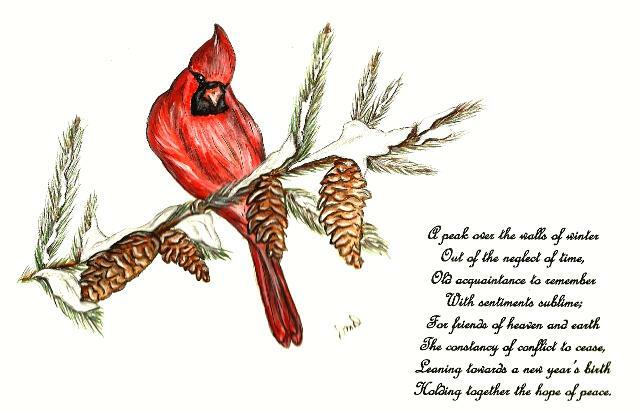 Whatever this time of year means to you, I hope it is blessed with health, joy, peace and love. And I must add: may your imaginations, creativity and sensitive spirits flourish throughout the New Year and long beyond! Holding together the hope of peace. Travelers through her life had spoken of il Presepi Viventi* in Roma or Napoli, staged elaborately like an opera or simply when peasants gathered in a town or village marketplace. Santa Maria Maddalena displayed a nativity in front of its main altar, still life figures in satiny marble, the holy family ignoring who had arrived once more to bow and marvel, offer gifts already given and point to unseen stars, donkey and sheep neither tethered nor free. Alessandro had the idea for Lidia to replace the stature of Mary, draped in white, her lovely hair tumbling from her veil to frame a tranquil expression, the worshippers unaware of her breathing until the soprano had sung Sovrano Mio Bene. The priest finally agreed when he met the girl’s pale eyes, closed lips and immature body, and she was willing–if she had a choice–because her humility would be on display as someone else’s. Lidia played her part well, even as the church filling with the Christmas Eve congregation breezed through her costume. The altar tapers flickered, smoke floating downwards to assist her performance and any concern that la prima soprano wasn’t the prettiest Alessandro had ever employed. For the Mass’ entrance procession violins dueled without contest in Sinfonia, the hunchback Lonati soloing unrecognizably with emotion and grace, Alessandro running off with the notes on obbligato harpsichord. His musical if not physical challenger inveigled him back with such fine expression it must be imitated, a perfect opportunity for Alessandro’s virtuosity with the ease of a hawk flying high and low and landing on a pause. Lonati let down his guard, his face gloomy and shoulders sinking. But after a few bars the duo matched their humors again, Lonati’s self-pitying relieved by Alessandro’s company, connecting their past differences for a chordal if short-term agreement. After the Liturgy of the Word the Cantata resumed, introducing the cast and their story. First the devil in protest and fury then the concertino per un angelo and concerto grosso with Alessandro taking the part of un pastore, Lonati’s strings only encouraging the thoughts of the tenor in arpeggios e adagios. The soprano at the heart of the performance also rose to the violin’s challenge, her breath strung along on Lonati’s long phrasing and jumping to follow Alessandro’s rapid handling of the keys. As always he enjoyed such alternation and certainly the success of Lidia lifting her head and la Gesùs Bambino from the crib. After the Blessing of the Sacrament, there was Communion and the mass’ last rituals, the congregation still on their knees, the madrigal singers standing first . Bells rang from the tower and interplay of their voices, envisioning and extolling. Belief was sustained in countering ways yet harmonization reached out through the nave and ascended the dome, proclaiming that at least for the life of such music heaven was within reach. 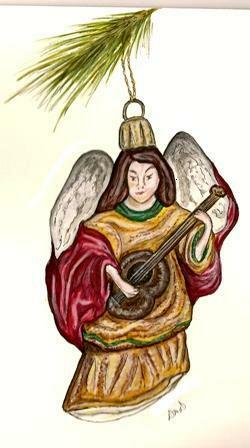 *Presepi Viventi–Living nativity. It is believed that the first living nativity was the work of St Francis of Assisi, in 1223. With shorter days come slower nights, more time to settle for solitude. Love is gone and is here still, more in the heart than can be lived. 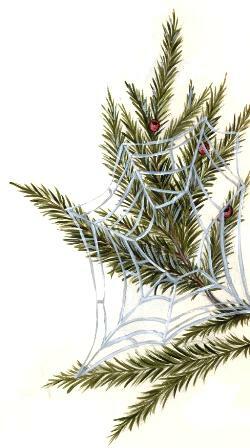 For all there is a season and this is mine, evergreen, and woven into wintery cobwebs. Thanks to Mindfulbalance for passing on this quote in the post Our Roots are Deep, Despite the Wind. 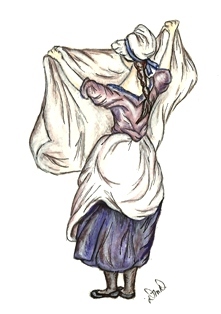 Writing note: In Medieval and Renaissance Europe servant women who washed in lavender water, placed lavender in linens or draped laundry on lavender bushes to dry became known as ‘Lavenders’. The lowliest of these were sometimes reputed to be prostitutes. Lavender has long had many uses and legends attached to it, and I have included just a few in this poem. 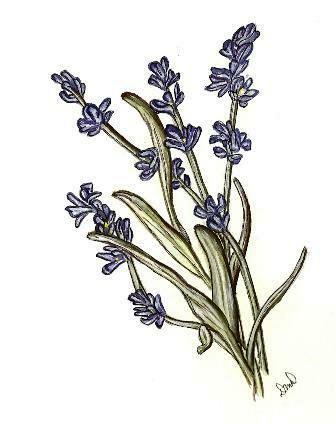 Adam and Eve were said to have taken lavender flowers with them when they were banished from the Garden of Eden. The Greeks used lavender as a remedy for various ailments including muscle ache, insomnia and insanity. The Romans loved using the plant in their bathing rituals, believing it purified the body and soul. 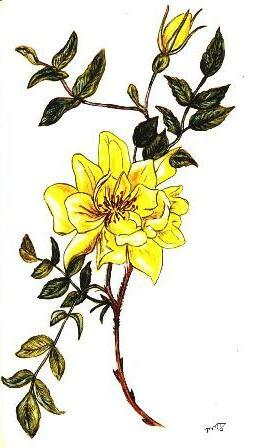 They gave it its name, derived from the Latin “lavare” which means “to wash” and introduced it to the English. During plague epidemics it was credited with warding off the disease, often with a sprig fastened to each wrist. Today it is certainly a popular flower and herb, and taken only for its beautiful appearance and scent deserves much attention. with a heart to cope. A primrose by the river’s brim . 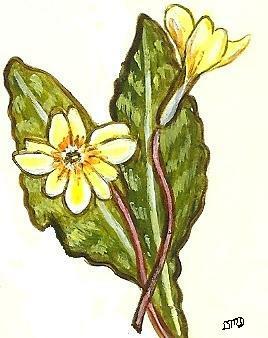 A yellow primrose was to him.